I can upload the patches on Mediafire myself to share with others. I'll know to credit you and also I may make a Pokecommunity thread on the Showcase for this as well. People have to know about this! EDIT: Just uploaded the post and it's awaiting moderation! Yep it was your video the one I saw ^^ but I was talking about some sites that reuploaded it. As I said there wasn't too much interest at the beginning so when I found your video I searched around to see if people was playing it and found that. You know, there's always Romhacking.net. In fact, the project page is already up on there. Why not just upload the latest revision of the patch? I'm actually interested in a Pokemon Blue restoration that is similar to the Jap Pocket Monsters Ao/ Jap Pokemon Blue version. While Montblanc is working to do accurated versions of Green (maybe Red, who knows Blue? I hope yes), you could try this Blue patch https://www.romhacking.net/hacks/2909/ or this patch https://www.romhacking.net/hacks/1457/ to play a "similar to the Jap Pocket Monsters Ao/ Jap Pokemon Blue version". I found a glitch in Cinnabar. When you go inside the lab, go to the second floor and talk with the trainer below, a window will open and he will start to make some pókemon cries, after it the text is written and the battle start. Montblanc links already expired like Ammako predicted? RHDN only uploaded english version? Really sad, right? Have fun looking for glitches. Don't forget to feedback here. Please, confirm if the glitch I reported here also happens in spanish version. Leveling only one Pokémon is the fastest way to beat the game in my opinion, perfect to search bug in beta test phase like now. Hmm.. so the bug only happens in english version? Even in other emulator? So, this should mean that the bug is in the IPS/Patch, I hope this get fixed soon. try this in your magneton try thundershock i patch the flashes and blizzard but still the same what about you? the adding the thundershow and blizzard doesn't work lol. shane did like less blinky cuz i said to him think about the epileptic gamers lol. There's a patch to enable, not to disable, if you want the flashes disabled, you should apply just green upgrade, not full upgrade. Full upgrade will try to restore everything like the japanese one, just the optional patch to enable blizzard freeze effect is safe to apply and this will not enable flashes. Btw, would be interisting to Montblanc make a reversal patch to disable these optional patches for anyone who disliked it. And ins't thundershock, is thunderbolt, I have a TM 24 on PC if you want to test. Also, it is possible to get Blizzard on Cinabar Mansion on the last floor. aha but i tested azul to verde and the flashes and blizzard doesn't work so i added the blizzard and flash patch and same result lol. prehaps you must enable the patch first and then trnaslate the game? who knows no instructions nothing lol. Doesn't work by default, you have to convert the ROM to Green first, then use any of the patches included in the optional folder. -When saving, after closing de YES/NO dialog the text remains until the save confirmation and the sound effect. There is no "Now Saving" text anymore like in the originals. And a possible bugfix, it didn't cause any issues but just in case. 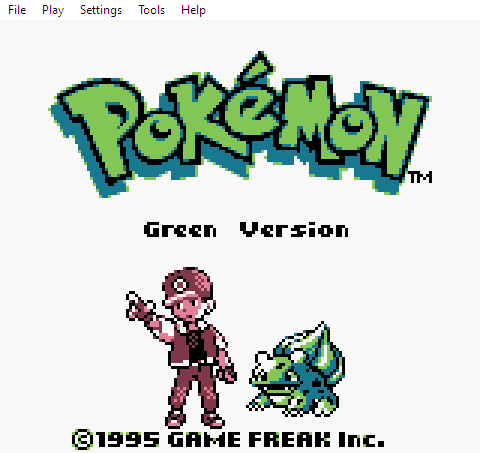 For convenience, I made the Red patches applicable on an official and unmodified Red ROM. Thank you for your excellent work, if I found other bug, I will report here of course. I hope you continue restoring everything you can. 1. 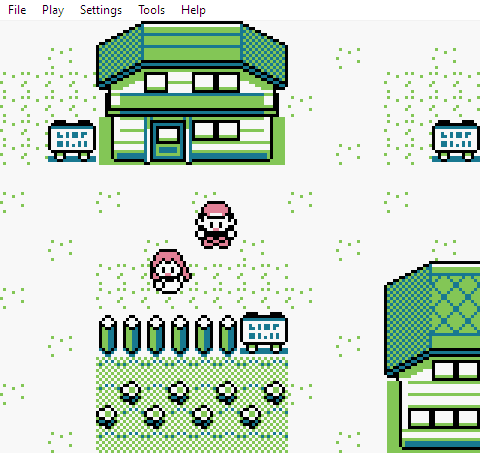 When playing Pokemon Green on a GBA/GBC, the default colors of the towns are shades of green. In Pokémon Blue, they are blue, so is your hack. Is it possible to fix this? 2.What can I do to help making this patch applicable to the German version? Please, please, I need this! Fixed, it was a bad text pointer, caused when the Mew/Mewtwo journals were being changed. After that I used tools to calculate the pointers, so in theory it shouldn't be any other text pointer bugs. I uploaded the .ips patch before instead of the .zip by mistake lol. I was in a hurry. The Spanish version doesn't have this bug, so an update isn't necessary. Are you applying the patches to Spanish ROMs, right? Because the offsets are completely different than the English ones. 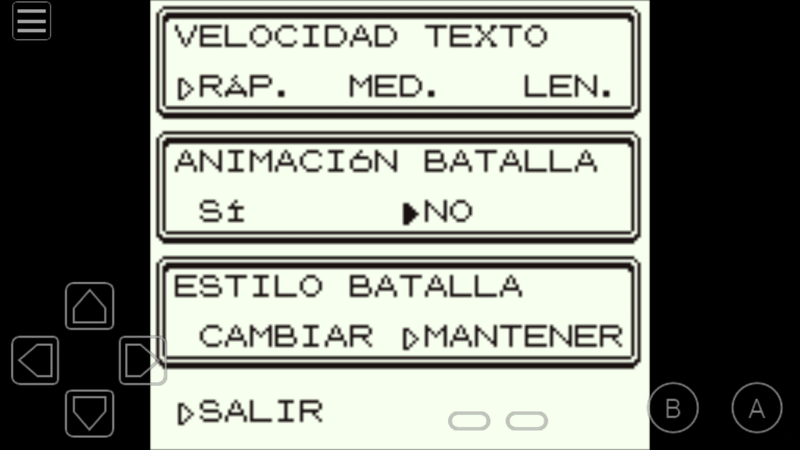 The Spanish patches will not work with English ROMs. Fixed, it was a bad text pointer, caused when I was changing the Mew/Mewtwo journals. After that I used tools to calculate the pointers, so in theory it shouldn't be any other text pointer bug. I uploaded the ips patch before instead of the zip by mistake lol. I was in a hurry. Thank You very much! It is working fine now. or prehaps shane did the japanese animations and you keep the american ones. And this made me remember: there was another change in the last update, the move animations that use three slow flashes (like Psychic before waving the screen) were slower in the originals, that was restored and made by default too since it isn't annoying to the eye. right i see i didn't know about skip animations lol now everything works lol, it was the save of juliano's not mine :). thanks again .